Download the full content here. 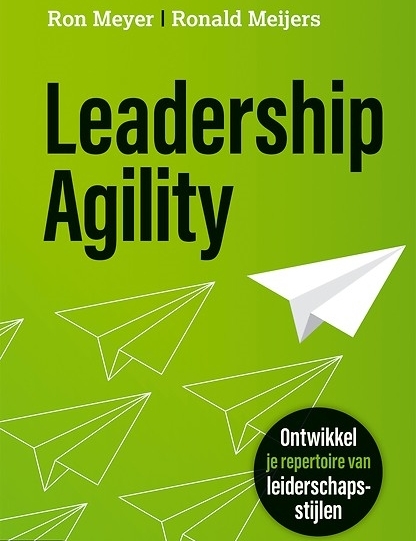 The Dutch-language edition of the book written by our Managing Director Ron Meyer and Ronald Meijers “Leadership Agility: Developing Your Repertoire of Leadership Styles”, will be published in July. You can already place advanced orders by following the link below. Within one week, the LinkedIn post by Martyn Rademakers on winning the Best Biennial Paper Award received over 8000 views from across the world. Clearly, the topic of Customer Centricity carries importance for today’s organizations. 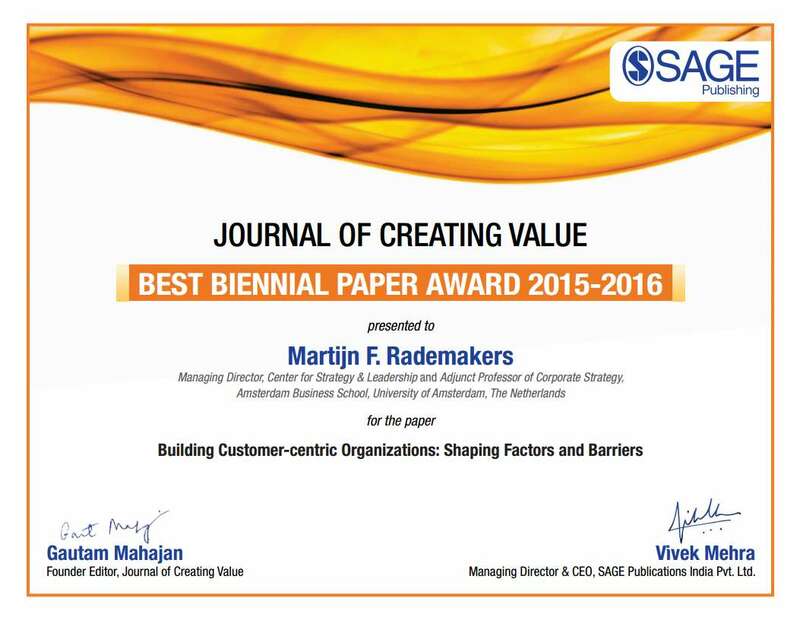 The Best Biennial Paper Award has been granted by the Journal of Creating Value, which is publised by SAGE. Authors Martyn Rademakers and Carmen van den Hemel have proudly accepted this prestigeous award. Check out this short but insightful interview about questions about the sense and nonsense of ‘born leaders’, authentic leadership and adaptation. Bedrijven moeten tegenwoordig snel op nieuwe ontwikkelingen kunnen inspelen. Maar hoe kunnen ze voorkomen dat ze te kort door de bocht gaan? 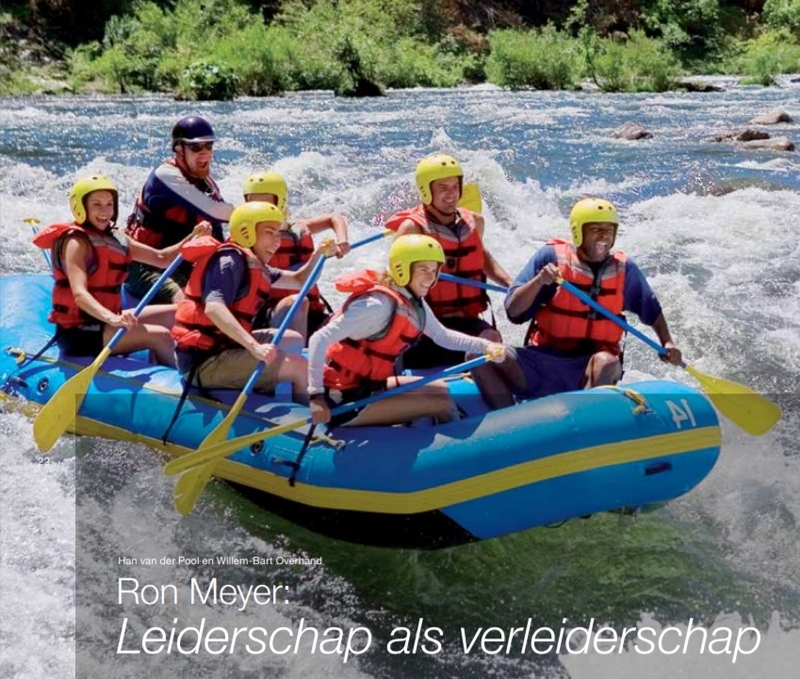 Publised on CFO.nl (in Dutch) a blog on securing a good start for business innovation processes: generating ideas that work. Not through mere brainstorming (does not work good enough) but through a strategic approach to the Harvard-approach of ‘brainswarming’. 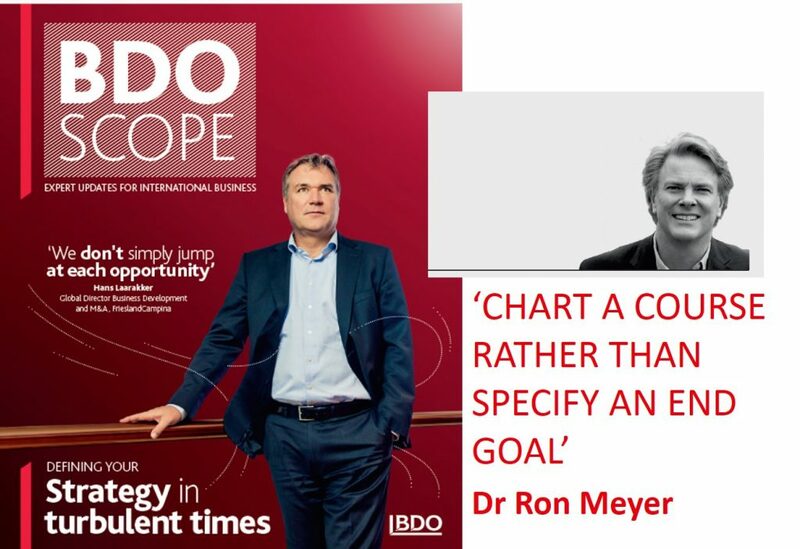 Dat business innovation prominent op de strategische agenda van bedrijven en instellingen staat, is nu wel duidelijk. 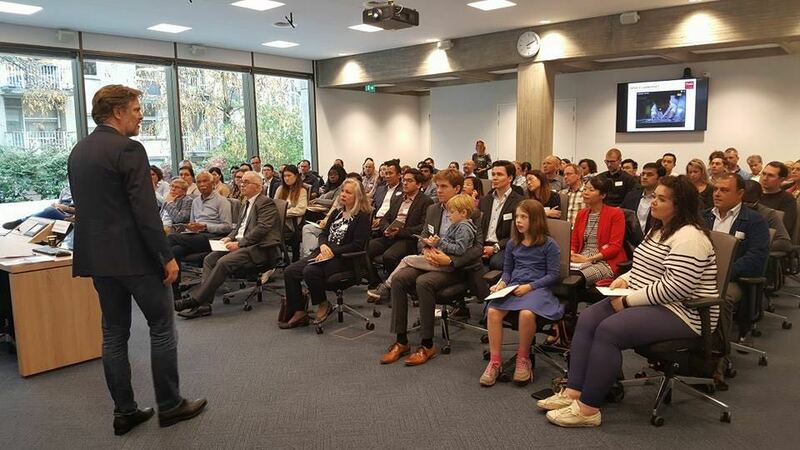 Het startput van business innovation blijft een lastige horde. Hoe kom je aan goede, ècht nieuwe ideeën die je organisatie verder helpen?